Abruzzo, Lazio and Molise National Park on a contoured, GPS compatible map at 1:50,000 published by Selca in cooperation with the park authorities, highlighting waymarked hiking trails, accommodation and other places of interest. The map has contours at 50m intervals, enhanced by shading and graphic relief. 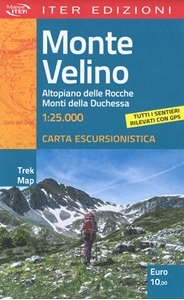 The overprint highlights hiking routes, indicating their waymarking numbers. Symbols show locations of hotels, campsites, mountain refuges, shelters and sheep sheds, archaeological sites, locations with bus service, etc. Picturesque towns and villages are highlighted. The map has a 2-km UTM grid. 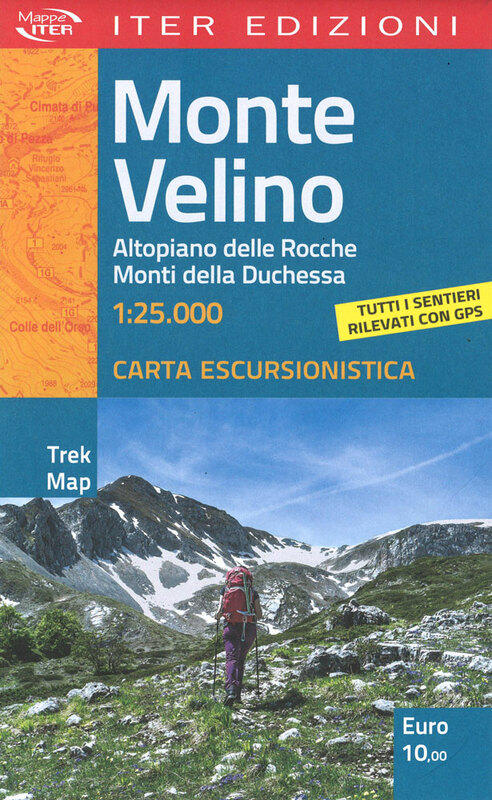 Also provided is a list of recommended hiking itineraries with distances and timings, extensive notes about the area illustrated by numerous colour photos, plus a map of the park at 1:100,000 showing different protection zones. Map legend and all the text are in Italian only.